It has been almost two years since Elon Musk, founder of SpaceX and Tesla Motors, announced his own dream for the transportation of the future. The Hyperloop was to prove its worth alongside autonomous cars and even jetpacks as a regular transportation option, starting off by hurtling passengers between Los Angeles and San Francisco at a breakneck 760 miles an hour. In the year since Musk unveiled his proof-of-concept document, the technology, engineering and cost of the Hyperloop have been broken down into exhaustive detail, and picked up more than a few critics in the process. CNET recently published a damning account of the current state of the Hyperloop venture, interviewing critics and wondering at the lack of progress. 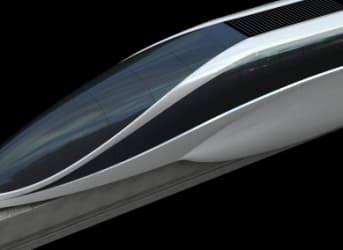 Andy Kunz, president of the U.S. High Speed Rail Association, is quoted as being a skeptic about the potential of the Hyperloop, saying that it differs from Musk’s previous ventures in that he is no longer adapting established technology. “The interesting thing about Musk is, in space tech, he took an existing tech and privatized it. With high-speed rail, he is not taking on an existing technology and trying to privatize it,” says Kunz. While it’s true that the Hyperloop would certainly require flights of engineering and design genius, it is not breaking wholly new ground. Musk has met with other entrepreneurs that have patented similar technology, all inspired on simpler pneumatic designs. Reducing the achievements of SpaceX and Tesla Motors to simply bastardizing the advances of others might sound petty, but the Hyperloop is certainly a new venture for Musk. And yet, the motivations behind all three are highly similar. Whether in space travel, environmentally friendly road travel or convenient rail travel, each advance stemmed from Musk’s frustration at a lack of progress in these fields. The reaction to all of them has also been far from overwhelmingly positive. Although the automotive industry has acclaimed Tesla’s progress in the field of electric cars and many OEMs (original equipment manufacturer) are collaborating with it, Tesla has been accused of shaking down the American public while states like New Jersey and Texas have sought to ban the sale of its cars. Musk and his companies overcame such doubts to establish SpaceX and Tesla as major players in space travel and automotive, two realms that have long been supported by direct government funding or through tax breaks. SpaceX is already competing for a slice of that money, vying with Boeing for a $3 billion fund from the American government to help restart manned space flight. In under a decade, SpaceX went from a start-up to rivalling the largest aerospace manufacturer in the world for government contracts. That public money would also largely be necessary for the Hyperloop to work, especially since Musk has stated he is unlikely to fund or build the entire Hyperloop himself. In his initial announcement, Musk was fuming at the estimated $68 billion that it would cost to build California’s high-speed rail system. He said his development would cost around $6 billion. The New York Times disagreed, quoting statistics from the University of California, Berkeley that put the Hyperloop’s price tag at closer to $100 billion. The inventor of the maglev train, James Powell, whose technology the Hyperloop would essentially outclass, also points out two troubling areas. The smoothness of the tube required for capsules to rocket along at the speeds Musk is talking about would have to be perfect to within a millimeter. A bump as small as three-quarters of a millimeter could have devastating consequences. Furthermore, any curve in the Hyperloop tube, however slight, risks exposing passengers to sustained G-forces comparable to an average rollercoaster. These are all considerable obstacles but, as usual, Musk is not working alone. Dr. Marco Villa, the man who created JumpStartFund, a crowdfunding website that has sought financial support for the Hyperloop, has now launched a dedicated company to make Musk’s dream into a reality. On top of that, University of California at Los Angeles’ IDEAS facility is hosting research efforts by a team of professors and graduate systems to find real solutions to the Hyperloop’s imagined problems. The CNET article called the Hyperloop a “radical idea” that will struggle to “exit the realm of fiction.” That may be. Perhaps the Hyperloop will end up being a wasteful enterprise that brought us no closer to a new form of transportation. But let’s be honest: If anyone has a chance to make it happen, it’s Elon Musk. I've thought that the Hyperloop would be better suited as a means of sending small packages between transport hubs, as part of a network for a company like FedEx. The tubes and vehicles could be smaller and the packages could withstand higher gee forces than human passengers, allowing tighter curves. I think it's more accurate to say that Elon is not working on the hyperloop idea. His plate is already pretty full with Tesla, SpaceX and Solar City. The hyperloop idea is very interesting. It's worth a close look to see if it is achievable. If it is then we could move a lot of our longer distance travel out of petroleum fueled airplanes and into electricity powered capsules. I've explored this reverse "air hockey" technology on my own about three years ago. James Powell is bang on with his assessment about the millimeter tolerances and the tube sag. I came to this conclusion independently and switched tack, to come up with Air Sledd. It achieves the same near-frictionless goal as Hyperloop and will be even cheaper to build. Wonder if this new Arx Pax hover technology (in the news this week) could be used for such travel?